When a double-decker bus collided with a VIA Rail train in Ottawa just before 9 a.m. Wednesday, Twitter was quick to react to the tragedy. 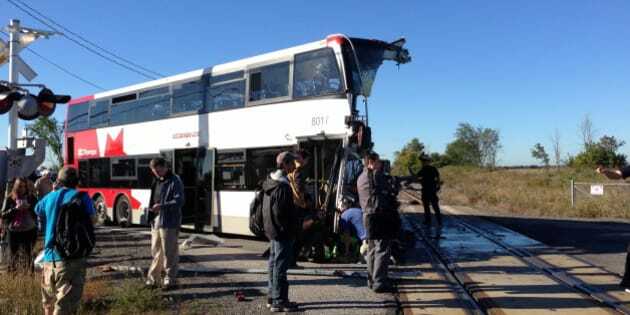 The OC Transpo bus ran through a rail barrier at a crossing in the city’s west end, witnesses told the Canadian Press. At least five deaths have been reported. UPDATE:Six people are now confirmed dead, officials said in a Wednesday morning press conference. As news of the incident spread, reporters took to Twitter to document the fallout. Citizens and politicians also took to Twitter to say their thoughts and prayers were with the victims and families. See how the incident unfolded over Twitter and see photos of the crash scene in the slideshow below.